Our Australian Animal Health Laboratory (AAHL) in Geelong is a high-containment research facility, built to protect Australia from emerging infectious disease threats. But AAHL’s significance doesn’t just stop at playing a vital role in maintaining the health of Australia’s animals, the international competitiveness of Australian agriculture and trade, the well-being of Australians and the quality of our environment. Nope, this important facility – which turned 30 last year – is also home to some to a pretty darn impressive collection of art. For years this selection of portraits of former CSIRO luminaries have graced the walls of AAHL – always hanging regally, but sometimes perhaps a little unnoticed by the staff that frequent their presence. But just recently, our curious record services team have dug up some rather interesting findings: it’s not just the subjects of the paintings that are of historical significance to Australia! So today, we’re taking a look at the stories behind the paintings. First up is a portrait of Dr. Thomas Screen Gregory, painted by Louis Kahan in 1966. Kahan, a highly recognised artist, lived a long and distinguished career. In 1962, he was awarded the distinguished Archibald Prize. This particular portrait was constructed to honour Dr Gregory, as he was awarded the Gilruth Prize, a prestigious award for members of the Australian Veterinary Association for outstanding service. Dr Gregory, as pictured, joined CSIR in 1962 as a research officer, carrying out investigations on various biological projects. Following Gilruth’s footsteps, he later became Chief of the Division of Animal Health, continuing to make significant contributions to veterinary science in Australia. Dr. Thomas Screen Gregory, painted by Louis Kahan, 1966. This majestic mural was originally presented from the Australian Veterinary Association, to formally honour the memory of one of its most distinguished members, Sir Ian Clunies Ross. It was painted by the renowned Robert Ingpen, who joined us in 1958 as an artist to interpret our findings and still lives in the Geelong region. He left in 1968 to become a freelance writer, and in the same year, he was awarded an incredibly noted prize, the Hans Christian Anderson Medal for his lasting contribution as a children’s illustrator. 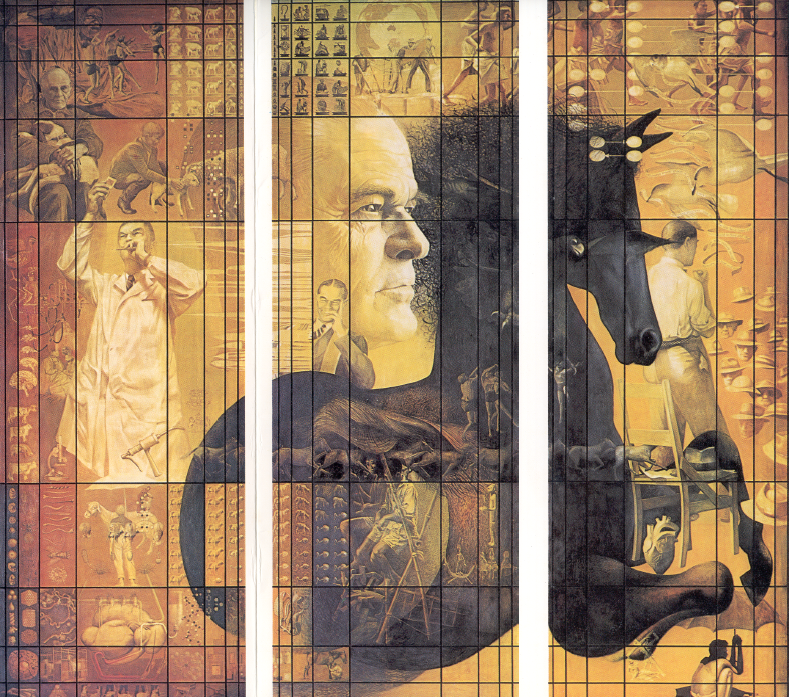 The mural depicts the three main phases of Clunies Ross’s life—as scientist, administrator and public figure. Ross initially joined CSIR as a Veterinary Parasitologist in 1962, and was appointed a member of our executive committee in 1946 and our chairman in 1949. The mural was originally featured at the National Science Centre in 1968 but found its way to its home in AAHL. Painting of Sir Ian Clunies Ross by Robert Ingpen. 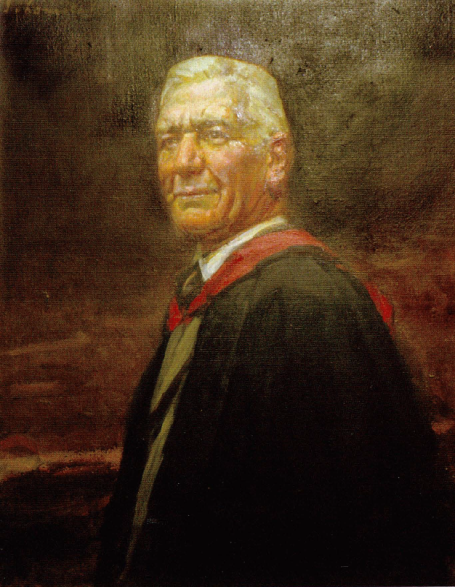 Below is a photographic reproduction of Dr. John Anderson Gilruth, painted by Sir John Longstaff in 1935, who received countless recognition’s throughout his career. His impressive skills are reinforced by his winning streak of the Archibald Prize five times. Additionally, he was the first artist to be awarded the National Gallery of Victoria’s travelling scholarship, for his narrative painting, Breaking the News, which inspired a film in 1912 of the same name. Gilruth worked in consulting but restored his zest for scientific research when appointed as a consultant for the newly formed Animal Health division within CSIR. As a testament to his talent, he became Chief of the division in 1933. The same year Gilruth was appointed chairman of a committee consisting of representatives of CSIR and the New South Wales Department of Agriculture. Dr. John Anderson Gilruth, painted by Sir John Longstaff, 1935. To continue our fine art stories, we are proudly in possession of a portrait of Dudley Arthur Gill, painted by the acclaimed Judy Cassab in 1958. Cassab, known more officially as a prolific portrait painter achieved a considerable amount, for a female artist of her time. Born in Vienna in 1920, she escaped the Holocaust by assuming the identity of her German maid and later in 1950, settled freely in Sydney, Australia. Cassab was proudly the first women to be awarded two Archibald Prizes in 1960 and 1967, for selected portraits. 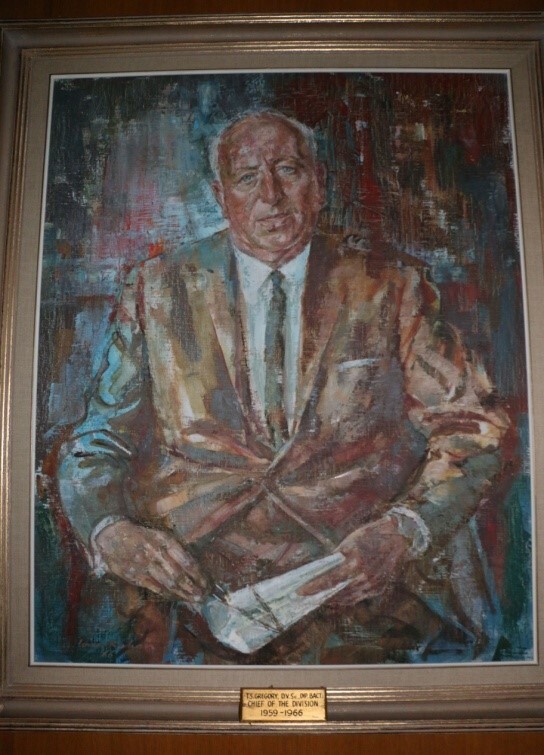 This portrait of Arthur was also iconic, as he was a successful leader within CSIR, being appointed as the Chief of the Division of Animal Health from 1954 to 1959. Mr D. A. Gill, painted by Judy Cassab, 1958. Temporarily shifting away from AAHL, CSIRO’s collection of fine art also comprises of a bronze sculpture, located in our Campbell, Canberra site since 1970, entitled Grande Ascolto (The Great Listening) sculpted by Italian sculptor, Arnaldo Pomodoro in 1966. With an expertise in sculpting, he was awarded the renowned International Sculpture Centre’s Lifetime Achievement Contemporary Sculpture award in 2008. Pomodoro, while teaching at the Stanford University in California was impressed by the large radio-telescopes used on the campus. His interest inspired this sculpture, intended to mimic two satellite dishes both approximately 80 cm in diameter. The sculpture has a fascinating yet unfortunate story, involving an act of crime. In late 2014, one disc was stolen, damaging the highly valued work of art. Luckily, the stolen piece was found and recovered not long after its disappearance. 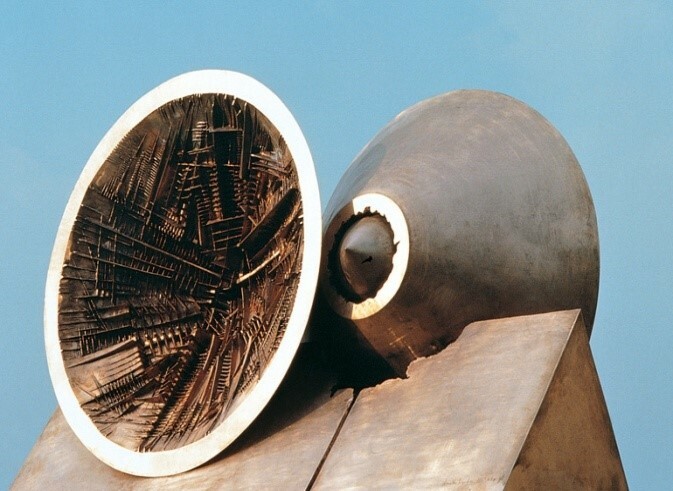 Grande Ascolto (The Great Listening) sculpted by Italian sculptor, Arnaldo Pomodoro, 1966. AAHL is the hub also holding the artwork of our very own Dr. Lionel Bately Bull, as painted by Murray Griffin in 1954. Griffin was best known for his printmaking and was appointed as a war artist in 1941. He travelled to Singapore, where he was among the number of Australian’s that were captured by the Japanese. He remained a prisoner, where he continued to sketch and visually documented the other prisoners, until his liberation in 1945. Griffin became a highly regarded teacher, at the National Gallery Victoria School in 1946 and at RMIT in 1954. Murray’s portrait of Bull to commemorates his success at CSIRO. He became an officer of CSIR early in 1934 as Deputy Chief of the Division of Animal Health and worked his way up to be appointed to the Chief of the division in 1935 to 1954. These artworks are now some of our most prized positions. The hidden stories of our history and our professional connections to some of the world’s most renowned artists are definitely something to appreciate. The next thing on our minds is the hidden treasures we are yet to discover, or what we could possibly collect in another 100 years time? Only time will tell what other surprising history is yet to unfold in front of us. Want to learn more about AAHL? The check out our website! Hi there, what a great article. One correction against the writing about Sir Ian Clunies Ross. It looks like you have a typo against his starting date – 1926, rather than 1962 – he died in 1959 🙂 Cheers and great to see Alan Donald still active in CSIRO matters! As a former Chief of CSIRO Animal Health, I am very familiar with these portraits and enjoyed the story very much. However, there is a mistake regarding the portrait by Judy Cassab of “Dr Dudley Arthur”. The subject’s correct name is D.A. (Dudley Arthur) Gill, who was always known as ‘Jim’ Gill – I don’t know why. Also, he was plain Mr. Gill; he was a veterinary microbiologist but he did not have a doctorate. He was Chief of CSIRO Animal Health 1954-59 and I knew him then because he had his office at the CSIRO McMaster Animal Health Laboratory, then in the grounds of the Sydney University Veterinary School where I was a student 1951-55. 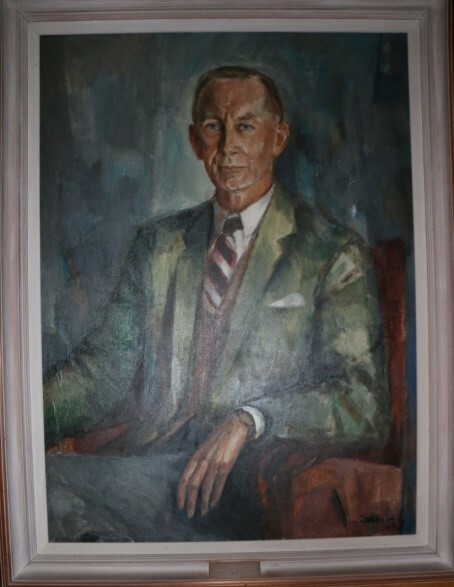 His portrait by Judy Cassab hung in the McMaster Laboratory until it finally closed in Sydney in 2000, along with a portrait of Ian Clunies Ross, also by Judy Cassab, who was the first Officer-in-Charge of the McMaster, and of course later Chairman and Chief Executive of CSIRO until his death in office in 1959. That portrait of Clunies Ross is now in the McMaster Laboratory at Armidale, NSW. It is not actually a very good portrait because it was painted after Clunies Ross’ death in 1959, from a photograph. The other portraits at AAHL of Chiefs of CSIRO Animal Health from its foundation in 1930 used to hang in the Animal Health Research Laboratory at Parkville, Melbourne, which was the HQ of the division. The one of T.S. (Tom) Gregory was the last to be painted; those of subsequent Chiefs – A.E. (Alan) Pierce 1966-73, A.K. (Alick) Lascelles 1973-83, and myself 1984-88 were photographs. M.D. (Mike) Rickard succeeded me as Chief in 1989 when I became Director of the CSIRO Institute of Animal Production and Processing containing 6 divisions including Animal Health. When we closed the Parkville Laboratory in 1995 and its work and the Chief’s office moved to AAHL, the portraits moved there too to join that of W.A. (Bill) Snowden, the first Chief of AAHL. Thank you for your feedback and for sharing your extensive knowledge about AAHL with us!. We’ve amended the blog to show the correct title/name. Thanks Ellen. Glad my comments were useful. Ellen, for the record, there is another point in the blog that I should correct. Ian Clunies Ross was appointed a CSIR Veterinary Parasitologist in 1926, not 1962, but located within the Faculty of Veterinary Science at Sydney University. He was then appointed the first Officer-in-Charge of the newly opened CSIR McMaster Laboratory in the grounds of the Veterinary School in 1931.